These versatile pneumatically-operated 2020 & 2020HD Automation Assembly System units develop 120 pounds of down force and are ideal for smaller inserts or stakes up to 1/4″. The 2020HD (Heavy Duty Series), has 1/4 ton of force and can do several stakes or inserts up to 3/8″. They can be mounted to a bench or to a machine base in an automation application. 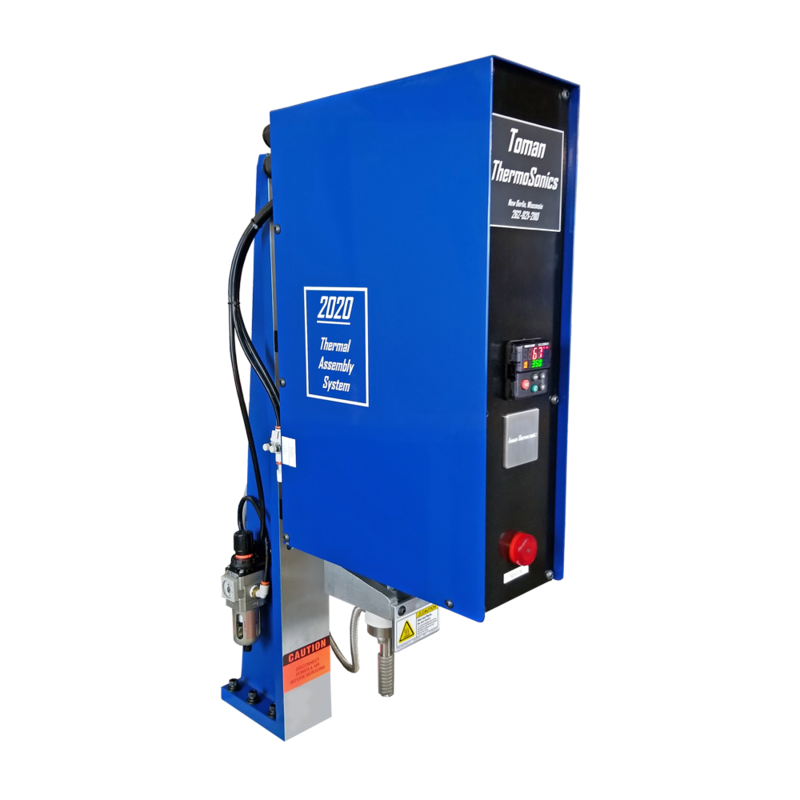 These automation units are ideal for high production lines. An input from the customer is required to start the cycle. As with all of our Heat Staking Machines, our precision CNC machined components using dowel pin construction, make the assembly of our machines precise and repeatable. The cast aluminum head slide has a precision machined pocket for the bearing guide rail. This accurately aligns the head, making it square and perpendicular to the machine base. During the assembly process this sub assembly is mated and aligned to the two recirculating ball bearing blocks. This insures that your stakes or thread inserts are consistent across all surfaces of your part. With our attention to detail, these rugged long-lasting machines will retain their accuracy and provide many years of reliable trouble-free service.